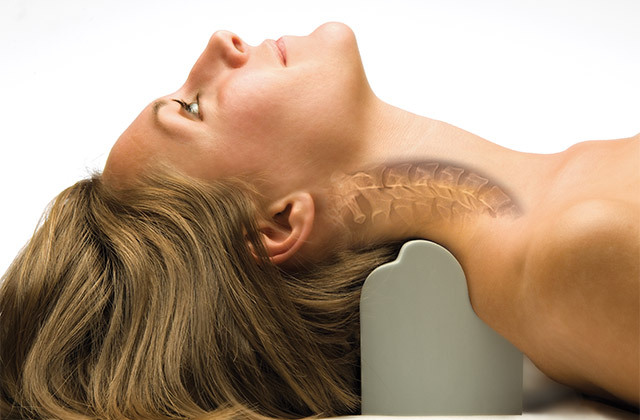 Clinical Biomechanics of Posture® is a treatment protocol designed to produce optimal posture and spinal alignment. This diagnostic and treatment protocol has more formal published research behind it than any other approach in chiropractic or manual therapy. Dr Trevor Rock is the only clinic in Toowoomba offering this technique. This specific spinal X-ray analysis of the spine enables the chiropractor to analyse spine shape distortions, which have been shown in recent research to predict future pain risk, risk of arthritis and disc lesions, amongst other problems. Naturally, these findings will direct your specific care recommendations. Chiropractic researchers have devised simple traction machines which are used to re-shape spines overtime, all non-surgically. The response and overall results in well-selected cases can be truly astonishing. This is called ‘Spine Corrective Care’. Abnormal neck curve (left). 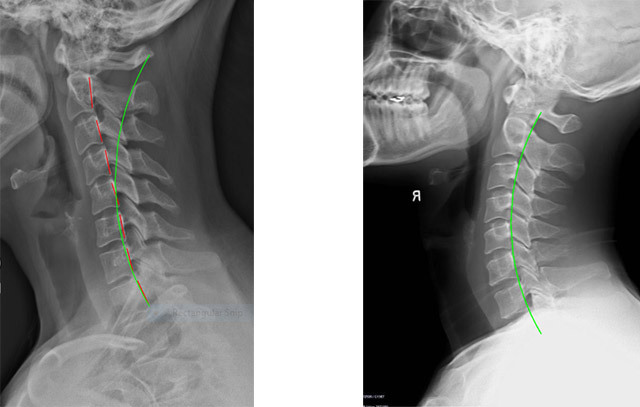 Normal neck curve (right). Exercises, designed for each patient’s individual spinal abnormality, are used to strengthen weaker areas of the spine.